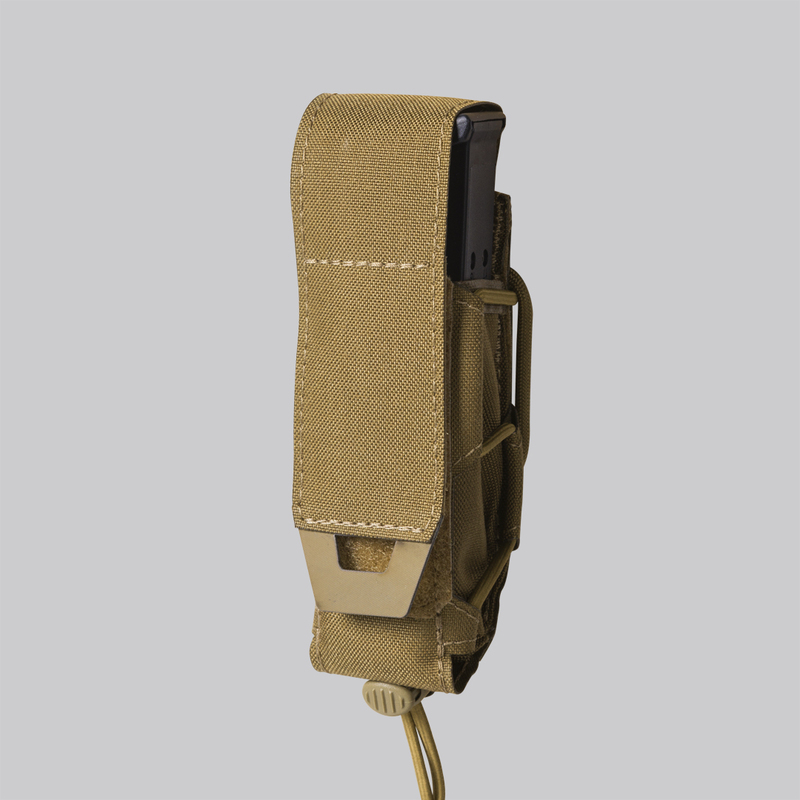 TAC RELOAD PISTOL MK II is a development of our previous TAC RELOAD PISTOL POUCH. The main change was to integrate our elastic cord adjustment system, enabling custom adjustment of the magazine release force, as well as reconfiguration to single-stack magazines. Flap Velcro®-closed, with Hypalon puller.